When you think of notable Louisiana artists, is Angela Gregory on your list? If not, she should be. As one of Louisiana&apos;s most prominent artists, Gregory has played a significant role in shaping the visual landscape of the Capital City. The New Orleans-born artist made the decision to pursue sculpture at 14, subsequently graduating from Tulane University&apos;s Newcomb College and attending Parson’s School of Fine and Applied Art in Paris. While in Paris, she became the only American permitted to study with French sculptor Antoine Bourdelle, a protégé of Auguste Rodin. During her career, she was one of the few women recognized on a national scale in the male-dominated field. Gregory&apos;s impact on the arts and culture of Louisiana continues today. Check out three opportunities to view her work in person below, and see a few more in venues around the city using this handy Google map as your guide: Angela Gregory Tour. 1. Take a peek into the collection at the LSU Museum of Art. While the LSU Museum of Art has several objects by Angela Gregory in its collection, they aren&apos;t always on display. Through October 18, Collection Spotlight: Angela Gregory showcases the work of the artist ranging from paintings of New Orleans street scenes to sculptures and models of contemporaries like literary and religious scholar Joseph Campbell. 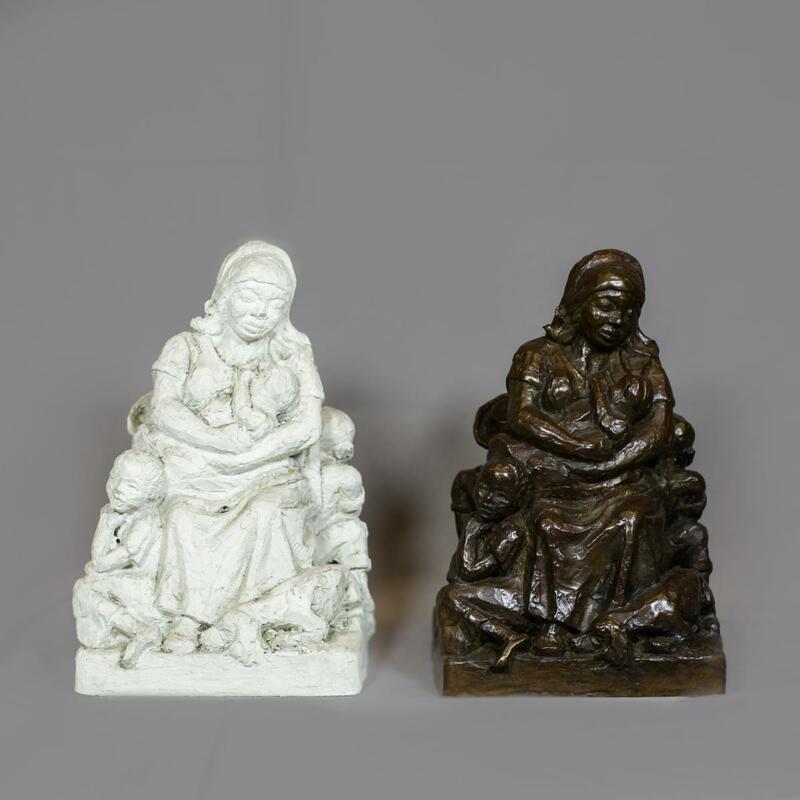 One the most interesting sets of objects on view is the model, mold and finished sculpture for Gregory’s Plantation Madonna, providing a step-by-step look into the process of creating a bronze sculpture. Want to learn more about Angela Gregory? LSU Museum of Art’s free monthly lunch lecture series on September 5 will host scholar Susan Hymel for an overview of Gregory’s life and work. 2. Get a dose of history and politics. 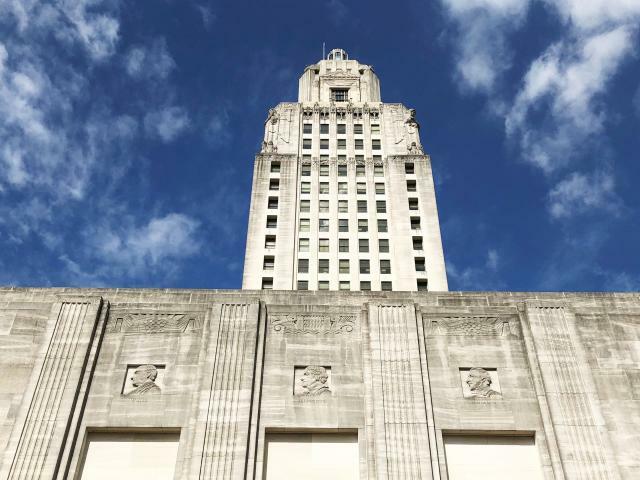 Angela Gregory’s impact on public art in Baton Rouge is most significantly displayed on our grand state house. 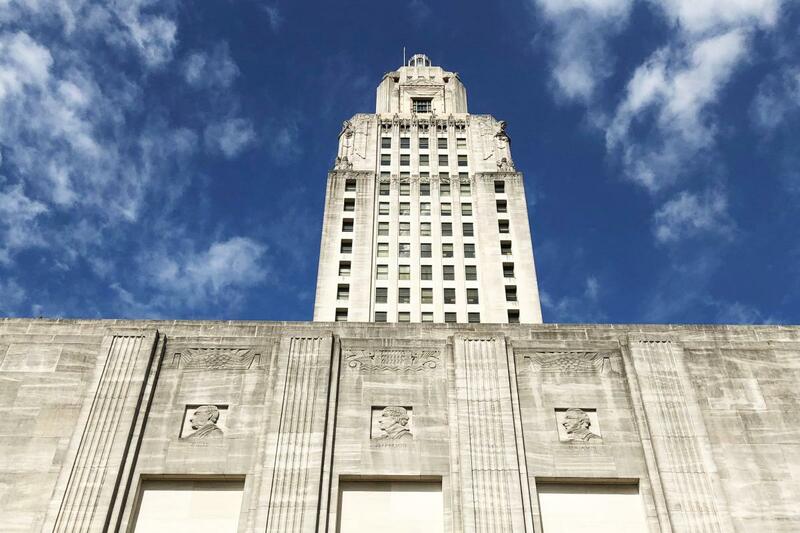 Along the exterior of the Louisiana State Capitol are sculptural profiles of 22 people who played a significant role in Louisiana history. Gregory was one of five sculptors working on the profiles, with all eight of hers completed in six weeks. Be on the lookout for her profiles of Thomas Jefferson, John James Audubon, Judah P. Benjamin, Paul Tulane, Charles Gayarré, Judah Touro, Edward Douglass White, and Louis Moreau Gottschalk as you stroll around the building. Interested in getting some hands-on experience in how these types of bas-relief profiles are made? Sign up for the September 13 class and make your own clay tile! 3. Unwind with Gregory Manhattan and a Louisiana view. Baton Rouge’s first skyscraper, originally opening in 1925, now houses The Watermark hotel and eight stellar examples of Angela Gregory’s work. In the 1940s, she was commissioned by its then owners, Louisiana National Bank, to create the bas-relief sculptures highlighting Louisiana commerce and culture in the bank’s lobby. 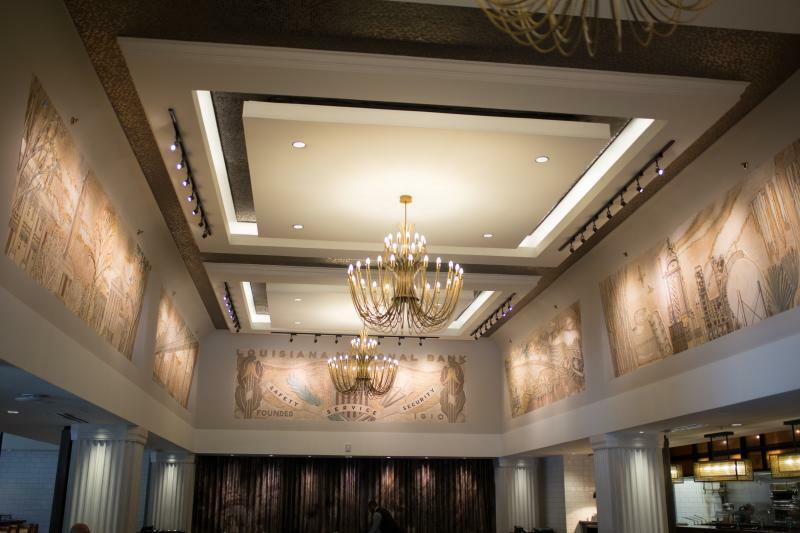 Today, these restored murals decorate the restaurant’s dining room, aptly named The Gregory in honor of artist and her accomplishments. Learn more about these murals from their conservator Elise Grenier during the LSU Museum of Art’s Third Thursday for Angela Gregory’s birthday on October 18 from 6–8 p.m.